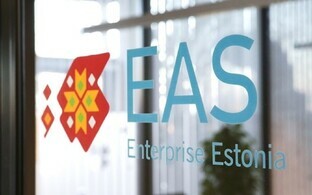 Enterprise Estonia is to open an office on the east coast of the United States in 2019, offering cooperation between US partners in industry and technological development and businesses participating in its business and product development programs. The exact location of the office has not yet been announced, though cooperation with partners in the state of South Carolina seems to have been the genesis of the move. "If an Estonian enterprise finds a partner from South Carolina within the framework of this agreement, it will have the option of receiving support from the development program or product development aid to finance the project," Tanel Rebane, director of the Trade Development Agency at Enterprise Estonia, said. Viljar Lubi, deputy secretary general for economic development at the Estonian Ministry of Economic Affairs and Communications, acting on behalf of the minister, Kadri Simson (Centre) has already signed an agreement with the state of South Carolina. Jim Melville, former US ambassador to Estonia and president and CEO of the Global Alliance for South Carolina (GASC), signed on behalf of the State. "The cooperation project has been led by former Estonian honorary consul in South Carolina, Harry Huge, one of a total of six honorary consuls on the East Coast of the US, who are always willing to help our enterprises," Mr Rebane said. Enterprise Estonia also intends to open an office on the East Coast of the United States, he added. "The state of South Carolina is an advantageous point of entry to the US market for Estonian businesses. We will open an agency on the East Coast of the United States next year, which, with the help from the association contract with South Carolina and the network of honorary consuls in the United States, will help our businesses enter the US market and find partners. 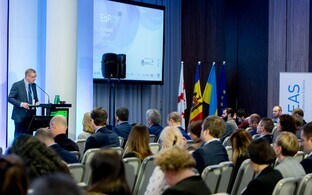 Unlike our agency in Silicon Valley, which mainly focuses on the field of technology, many businesses from more traditional industries in Estonia, as well as from the food, timber and defence industries, have expressed their interest in exporting to the US east coast," Mr Rebane continued. Last week, a business delegation, including representatives of Estonian enterprises Timbeter OÜ, Cybernetica AS, Iluum ME Sisustus OU and Mooncascade OÜ, visited the US. 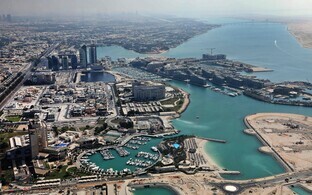 "Estonian businesses, Mooncascade included, are increasingly eyeing up the US east coast in terms of export. Thus, it is of symbolic importance that it is in that side of the country that Enterprise Estonia is to open its agency," representative of Mooncascade Anu Einberg said. Lying in the southeast of the country and on the eastern seaboard, South Carolina has a population of around five million and its principal city is Charleston, which with over half a million people in its wider urban area is comparable in size with Tallinn.